To put the move in context, other Schedule I substances include heroin and LSD. Needless to say, its DEA's most restrictive classification, and would present users with potential criminal charges. At the moment the classification, which could have gone into effect September 30, has been put on hold. The status is uncertain, however, since DEA has made no public comment. The herb, which is widely sold on the internet in a form that can be inserted into capsules, is valued for its pain-relieving properties – undoubtedly the principal reason the DEA wants to place it in the company of other controlled substances. Kratom's two main active chemicals affect the brain much like the ingredients in oxycodone and morphine do. The DEA is concerned the herb could increase the public health crisis caused by opioid addiction. In two separate letters to the DEA and Office of Management and Budget (OMB), the bi-partisan lawmakers question, not only the re-classification, but the haste in which the DEA sought to impose it. The letter from Sen. Bernie Sanders (I-VT), Sen. Orin Hatch (R-UT), and nine other senators charged the use of emergency authority to ban a natural substance is unprecedented. The DEA, it said, should be required to make its case for the Schedule I classification. Among kratom supporters are some who work with drug addiction, who helped rally support against the ban. 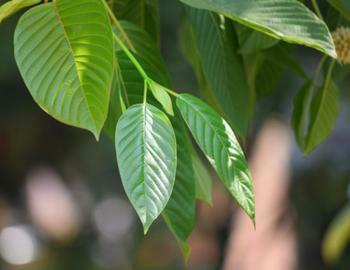 Jag Davies, director of communications strategy at the Drug Policy Alliance, said people who believe kratom is a useful alternative to opioids should keep the pressure on. “If the DEA gets its way, more people who struggle with addiction will be criminalized,” Davies said in a statement. Kratom is produced from a plant that grows in Southeast Asia, where it has been used for medical purposes for generations.